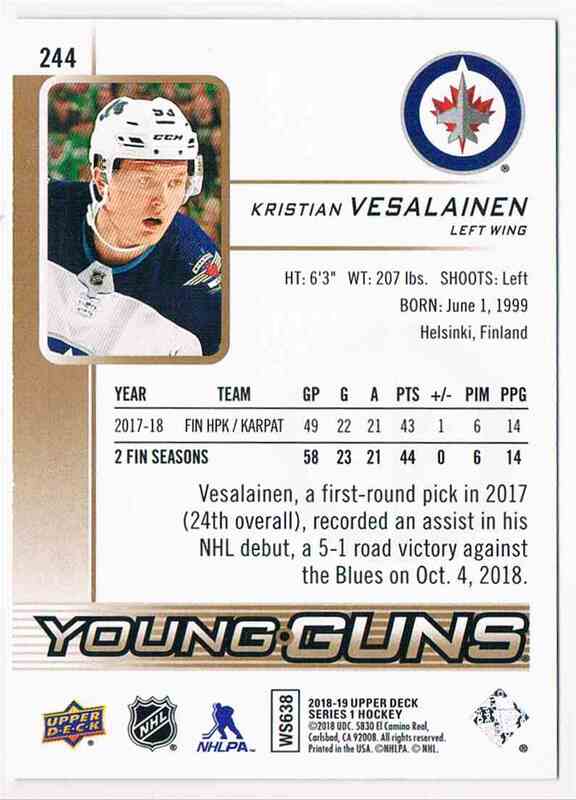 This is a rookie Hockey trading card of Kristian Vesalainen, Winnipeg Jets. 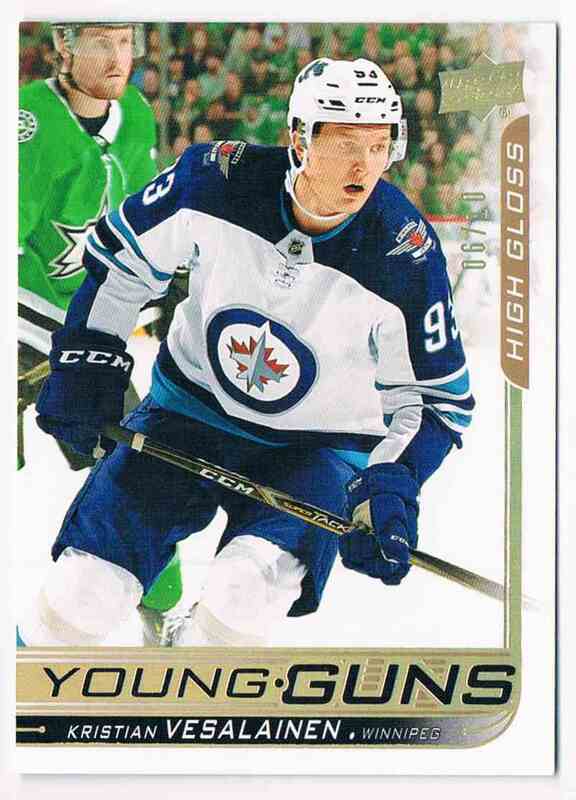 It comes from the 2018-19 Upper Deck Young Guns High Gloss set, card number 244, serial numbered 06/10. Pas Remettre. It is for sale at a price of $ 700.00.